I’m a convert! I saw this recipe on social media and had to give it a go. Nori is a type of seaweed and it’s available in sheets in supermarkets – I got mine in Sainsbury’s. I love seaweed! It’s really tasty and nutritious – it’s packed with minerals and full of fibre. Seaweed is especially rich in iodine, which is needed for good thyroid function and other metabolic functions. Our diets are typically low in iodine now that most of us don’t eat much fresh seafood. 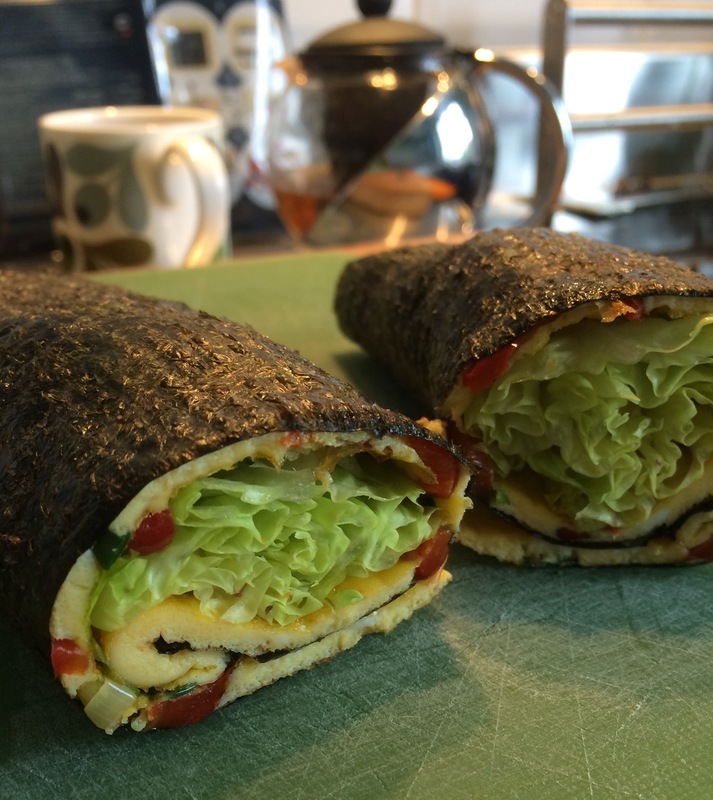 These nori rolls could be made the night before and kept in the fridge for breakfast on the go. They could also be taken as a packed lunch. Yum! They’re really easy to make, satisfying and nutritious! 1. Make an skinny 1 or 2 egg omelette with filling of your choice. I used red pepper and spring onion.